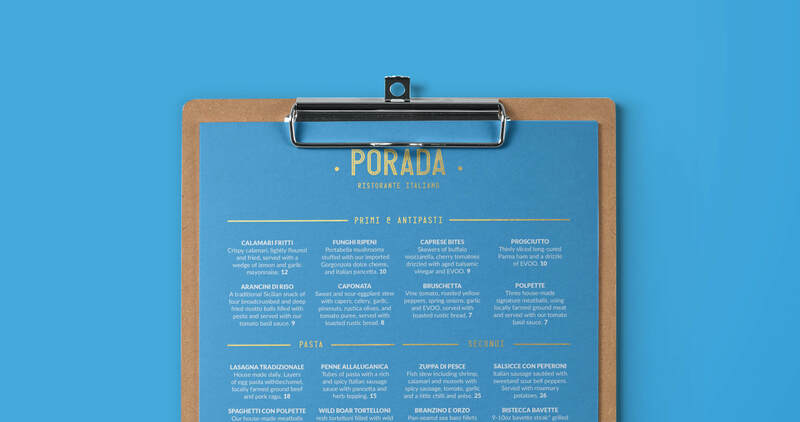 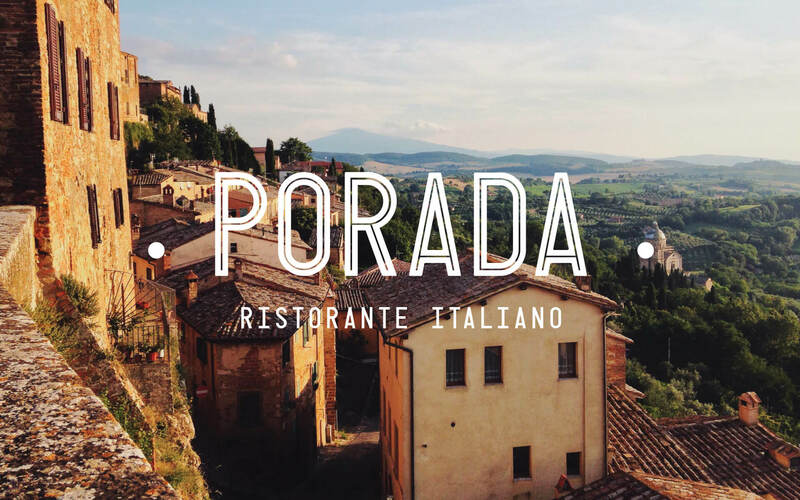 Porada is a popular Italian restaurant in the north of Manchester, catering for consumers of high quality, true Italian cuisine. 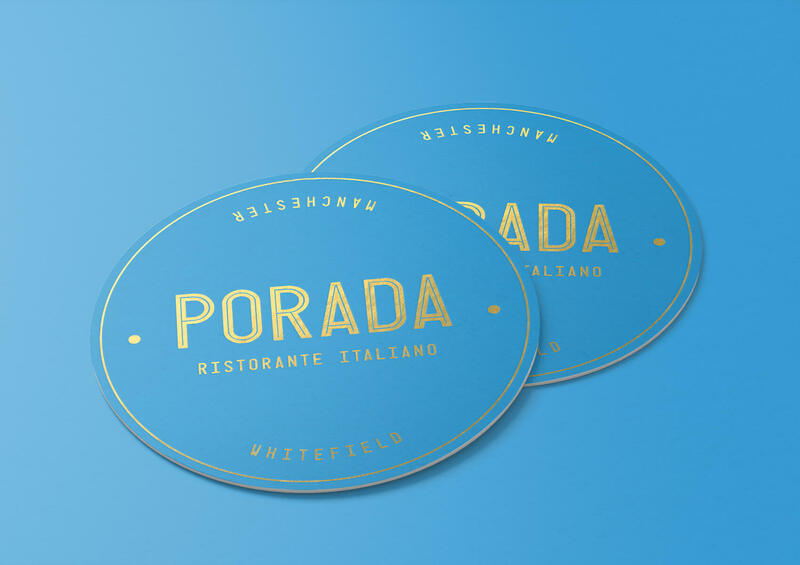 The concept of the design stems from the Abruzzo region of Southern Italy (which the restaurant can trace its roots from), and Italian typography found in the city of Florence. 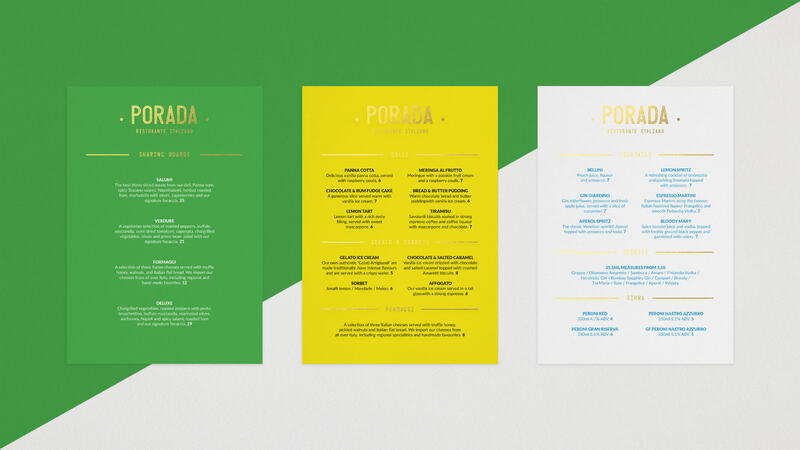 The coat of arms of Abruzzo inspired the colour choice of the rebrand, using a palette of blue, green, gold and white. 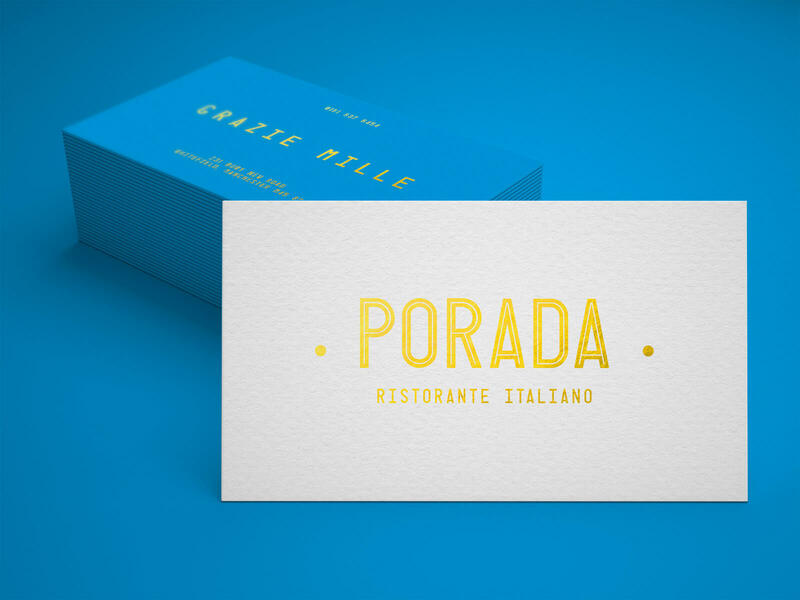 The final execution marries the typography of the Florence metropolitan transit system and the rich colours of the Abruzzo crest. 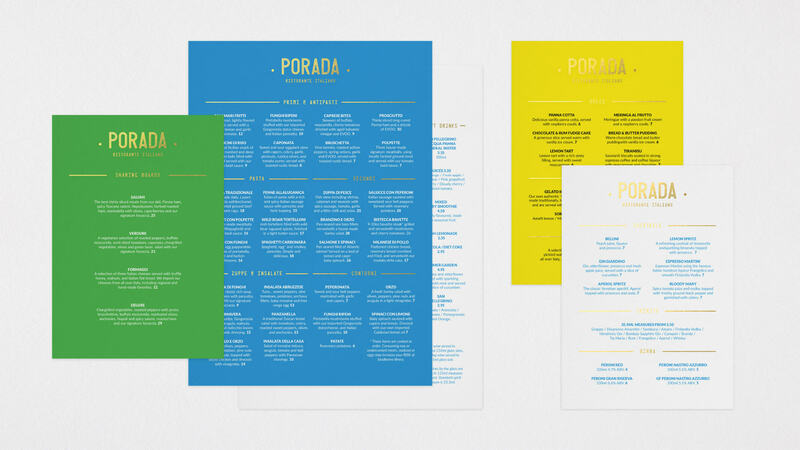 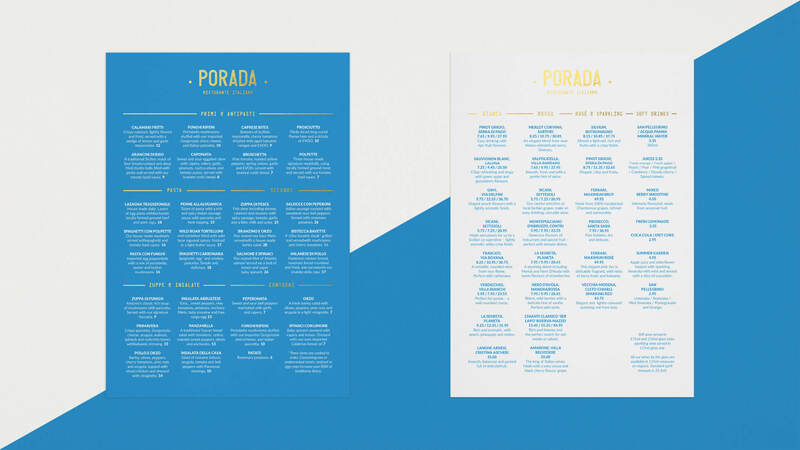 This design was applied to the menus, logos and associated collateral.